Many people invest in the quality furniture for homes or offices, which are intended to go lifetime. Reality for many is general scratches or dents are unavoidable. However are they really? The glass table top actually is the tried and tested method to protect any wood furniture. This adds tough and durable layer, which doesn't overshadow wood. Instead of the furniture looking tired or shabby 5 years down track, glass table top will keep your furniture looking as fresh as day you bought them from Giovani Glass. Glass Table Top Of 21st Century. There are many advances in the glass table tops & glass shelving manufacturing from past some years. Now, no longer does glass look like thick obtrusive material. The glass tops and the glass shelving nowadays are clear, thin, and streamlined. Design direction dictates glass is invisible as well as serves to enhance wood and not disguise it. 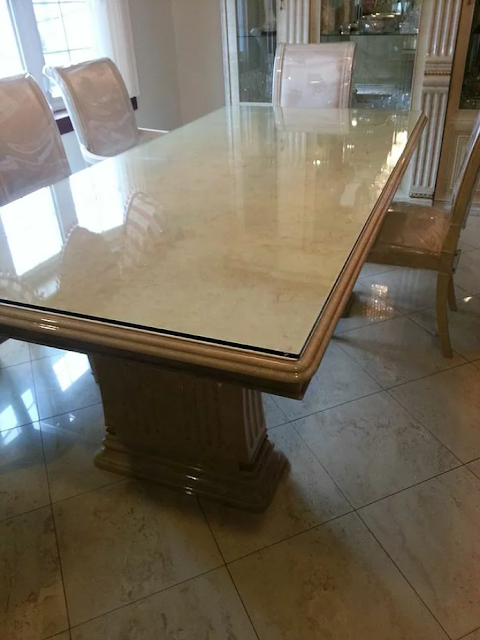 With the new technology it means that the glass tops blend well with the furniture, you can expand uses of table top to dressing tables, sideboards, coffee tables, desks, and other wood furniture for protecting. Main purpose of the glass top is its protection. Good customer service is always sure from GIOVANI GLASS and you can buy it from us here in New York. We work hard and provide quality support even after sales. You can get the best price and deal from us at all times in new york. So what are you waiting for.